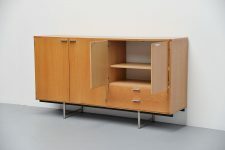 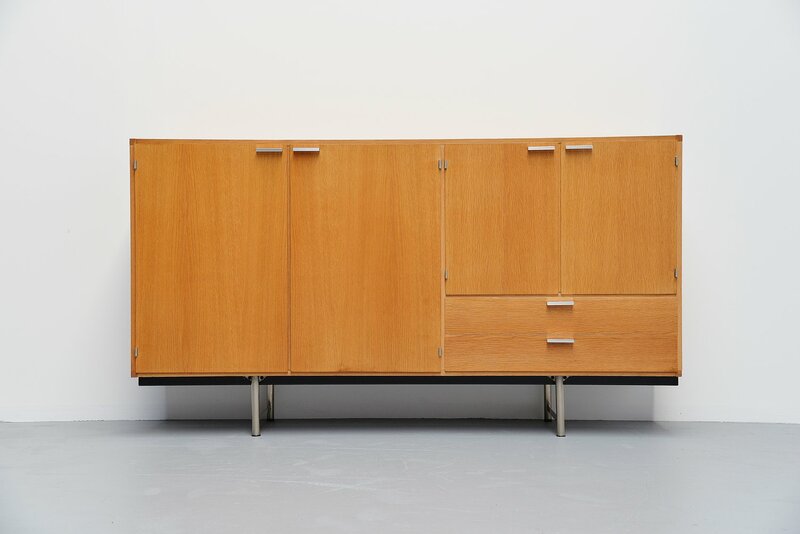 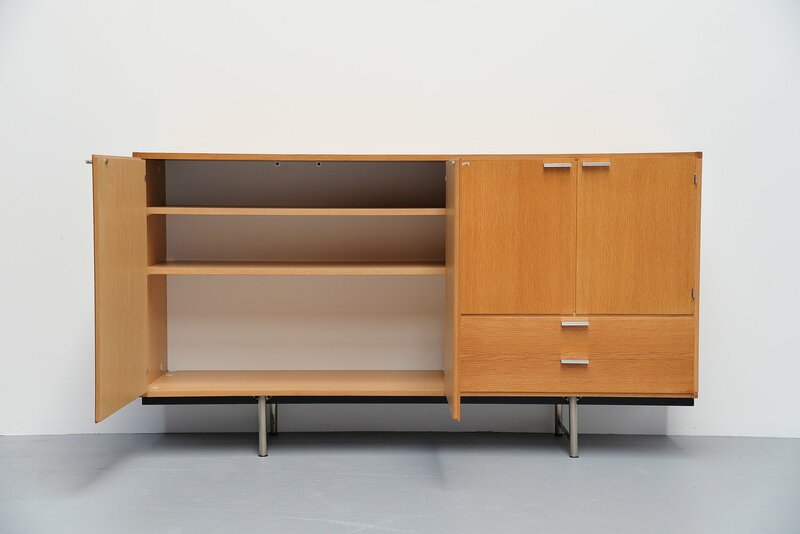 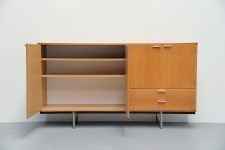 Fantastic grained buffet from the made to measure series designed by Cees Braakman for Pastoe, Holland 1965. 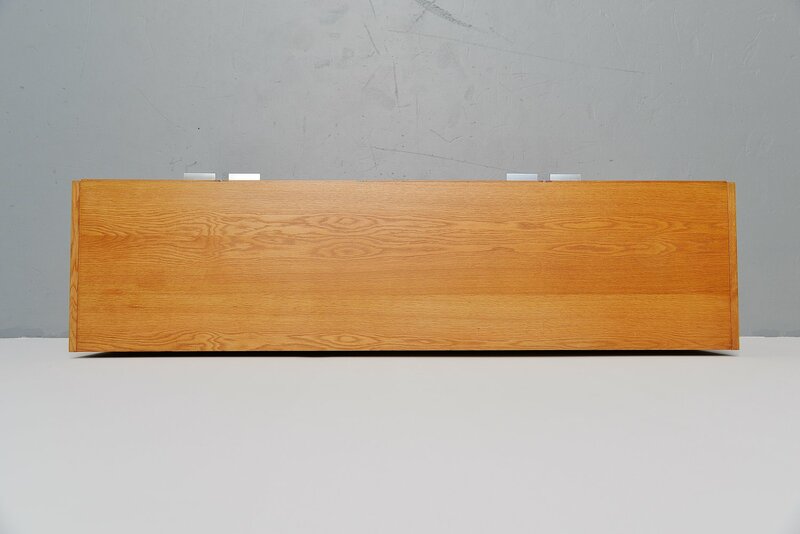 This oak veneered buffet has a nice and warm color wood. 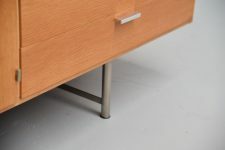 It has solid aluminum handles and a chrome plated metal base. 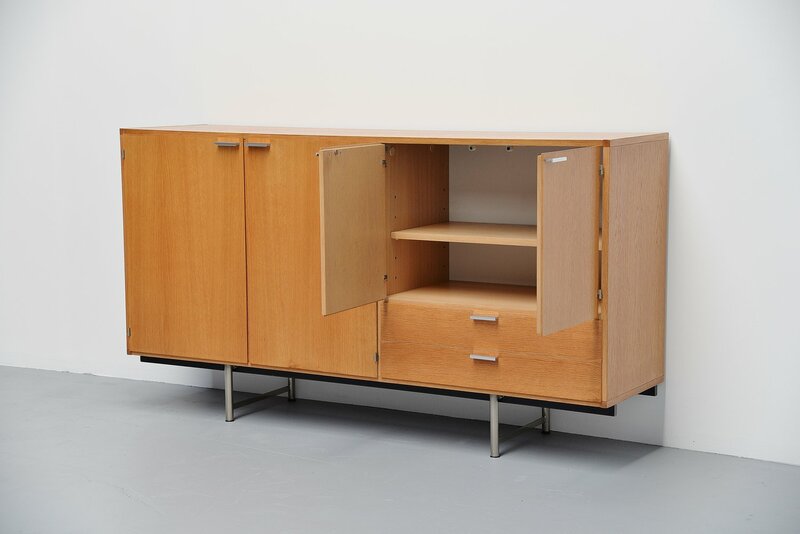 This buffet provides plenty of storage space, on the left 2 doors with 2 shelves behind, adjustable in height. 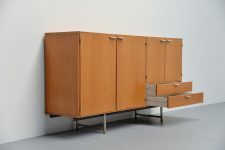 And on the right there are 2 doors and 2 drawers with the typical bent wood insides. This is a very functional buffet in amazing shape. Marked accordingly. 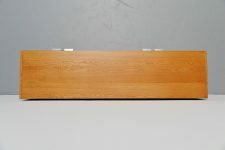 Fully refinished with high quality UV protection lacquer with preservation of authenticity.